a substitute to address the advertising gurus on branding. And they found none other than Amitabh Kant, 1980 batch Kerala cadre IAS and GoI secretary in the department of industrial policy and promotion (DIPP), to deliver the keynote address. After all, Kant was a key driver in some of India’s most notable advertising campaigns -- Incredible India, Atithi Devo Bhava and more recently Make in India. Kant began his speech with a joke: "I am virtually like the Einstein’s driver. After Einstein got the Nobel prize he was going to all the universities in the United Kingdom. He delivered the 350 odd lectures. And his driver used to accompany him. So, when the Einstein got an invitation from the University of Columbia his driver said, “Mr Einstein, I have not seen America, I have heard you 350 times, I can give a better speech than you could ever deliver. Einstein said: “You go ahead”. And the driver gave a brilliant speech. It was a scintillating performance. Then the dean of the university said, 'we will have now a question and answer session'. And then a student asked a very complicated question. The driver said, 'Young boy. The question is so simple, so easy that my driver sitting in the audience can answer it'. Einstein then got up and replied. Ladies and gentlemen, I will just give my presentation but if you have any (complicated) question please ask Shah Rukh Khan”. In fact, unlike the suspicion of the organizers, Shah Rukh Khan did travel to Kochi and delivered a speech on his understanding about advertising. He humored at the beginning of his speech: “Before I start, I want to tell Mr Amitabh Kant that I will answer all the questions to your presentation. It’s fantastic…”. Jokes apart, Kant’s speech gave a 360 degree perspective of the challenges associated with any branding exercise undertaken by the government. BoI here presents some excerpts of his speech on advertising and branding. 1. (In Kerala) Our strategy was that the government will work only as a facilitator and allow local entrepreneurs to take over. 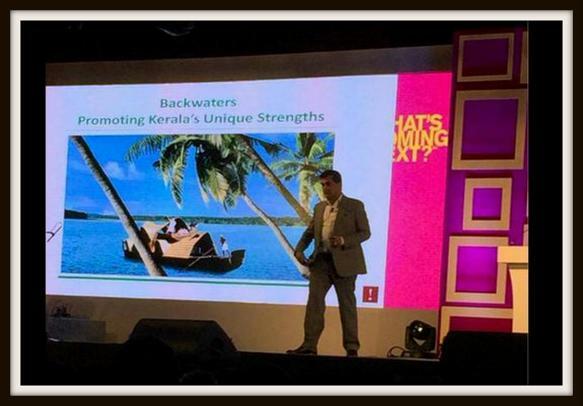 That was the time we developed some unique products for Kerala…We did everything which other destinations won’t do. We went back to the roots of Kerala. We brought back those which were very authentic to Kerala. We went back to the traditional art form, we went back to boat races, we went back to three huts, we went back to traditional martial arts, and we went back to traditional cuisines. 2. Normally, the government is associated with mediocrity, but I always believed I must work with the best and the most creative people in the street. I have worked with the finest mind, finest creative people, and they are the ones who gave us the results. 3. My belief is the government should not work on the lowest cost but work on the basis of the best quality. (Thanks to that) Kerala went on to become one of the top 10 exotic places in the world. 5. 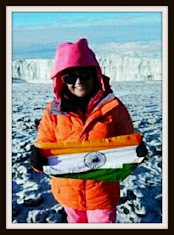 We again (in Incredible India campaign) went into the roots. The branding is all about differentiation. You have to differentiate yourself from the rest of the world…Here (an Incredible India promo film) you would see a little bit of Yoga, meditation, photography, backwaters of Kerala, colours of Rajasthan etc…We took Incredible India to all over the world – New York, Berlin etc. 6. The branding is not about advertising. You create a brand and your reality does not match that brand, then it will give you a very bad set-back later. So, it’s very necessary for brand-builders to build a brand that actually converges and integrates with the reality on the ground. 7. The potential of India tourism to my mind still remains untapped. It’s a huge industry. USD 4.6 trillion as compared to (USD) 500 billion of software. It’s a great wealth distributor. So, India needs to put much more to travel and tourism. 8. India is now becoming a centre of frugal manufacturing. By frugal manufacturing, I don’t want to mean poor manufacturing. The FDI inflows into India since the launch of the Make in India initiative went up by whopping 48%, as compared to the fall of FDI by 16% globally. The Make in India site is a mobile-first site. It has huge followers in Twitter at a very short time. 9. Brand-building is about delivery. India’s branding can go up if India continues to grow rapidly. If India grows at 9 to 10% per annum year after year; if its infrastructure improves; if the governance improves; if there is a rapid fall of poverty level, India’s branding will go up. You can’t have a great brand with poverty. Therefore, India must realize that branding is about delivery. It’s about convergence and integration of good advertising and good delivery on the ground… You can’t create a brand out of a terrible product. You should never do that. Therefore, good branding is about a good product. 10. Branding is also about people. Great brands are made by people. If India is to become a great brand, that brand ownership, i.e. the sense of pride must be held by Indians like you. Kant ended his speech with 14th century Indian poet-musician Amir Khusrow. Kant said, Khusrow was a Muslim, his ancestry was Turkic, and he wrote in Persian language. But he considered himself to be the luckiest man to be born in India, and write for his motherland, India. “So, India can be a great brand if many of us just make India grow and continue to smile like a flower”, Kant added.